The folks behind FlightPro have had a bad year. The app ran into some trouble when a dispute between developers broke out and a lawsuit stopped all updates (both to the app and charts). Looking for a quick resolution to the scuffle the original developers have announced that they are changing the name of the app to DroidEFB, and are requiring all users to download and install a completely different and new app to continue using the program. Why you ask? There’s a very good reason . . 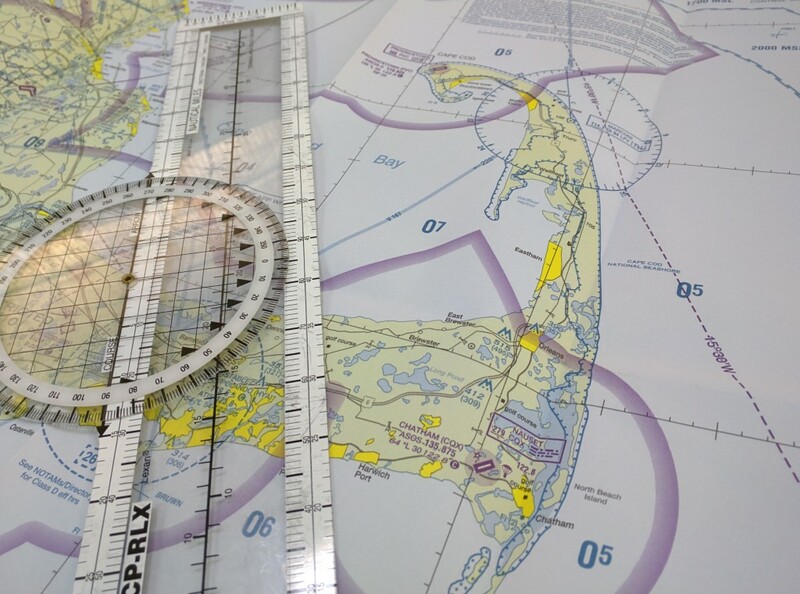 I started instrument training not too long ago and pretty quickly I came to the realization that paper charts needed to go. Besides the fact that it was difficult to find what I needed while flying, all the required publications take up a lot of space in my flight bag and weigh a metric ton. 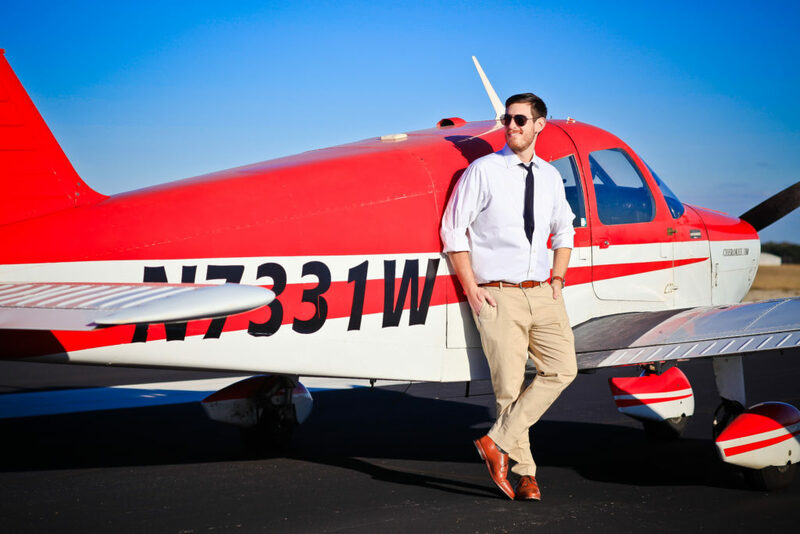 Add in the fact that they expire every 56 days and keeping up with the FAA can start to eat into your AvGas budget. 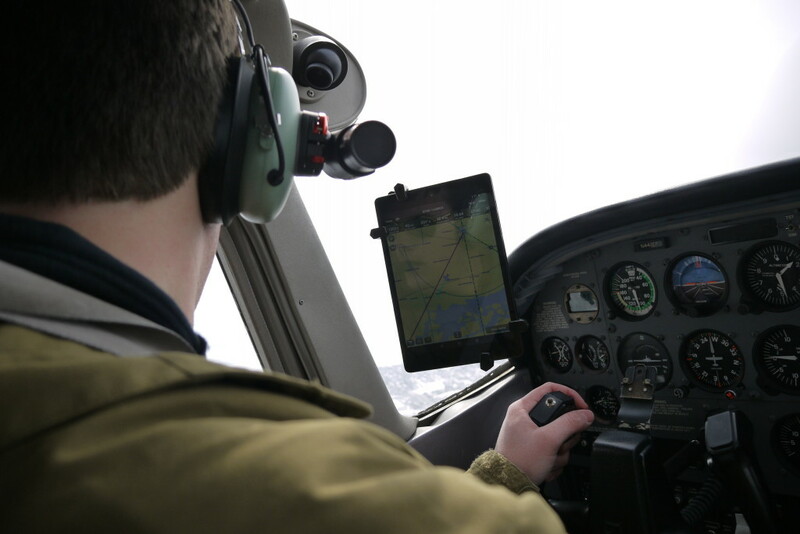 I have a Nexus 9 tablet running Garmin Pilot that has all the charts I need and could be a great substitute for the paper versions, I just needed a way to secure it in the airplane that was quick, easy, and didn’t obscure any of my view out the window or of the instruments. 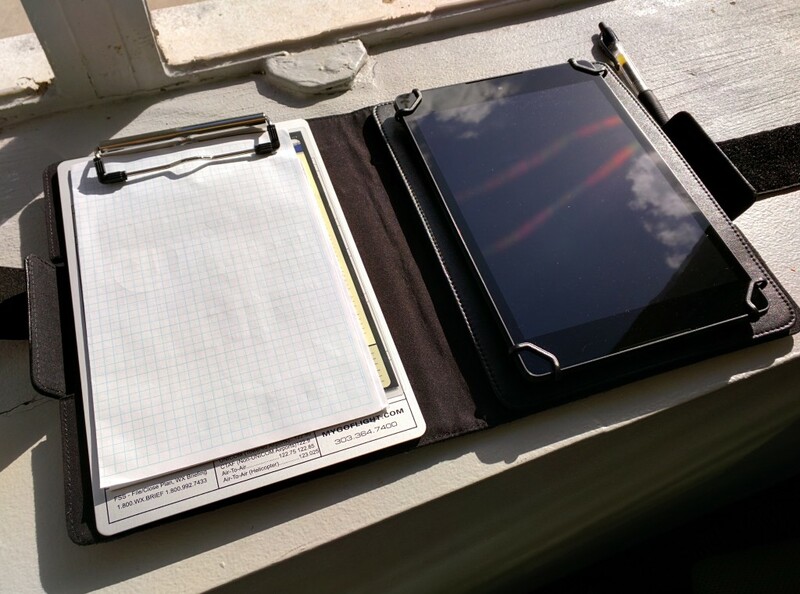 MyGoFlight’s Universal Kneeboard Folio C seemed like the perfect fit. For the last couple weeks I’ve been prepping for a flight around Cape Cod. 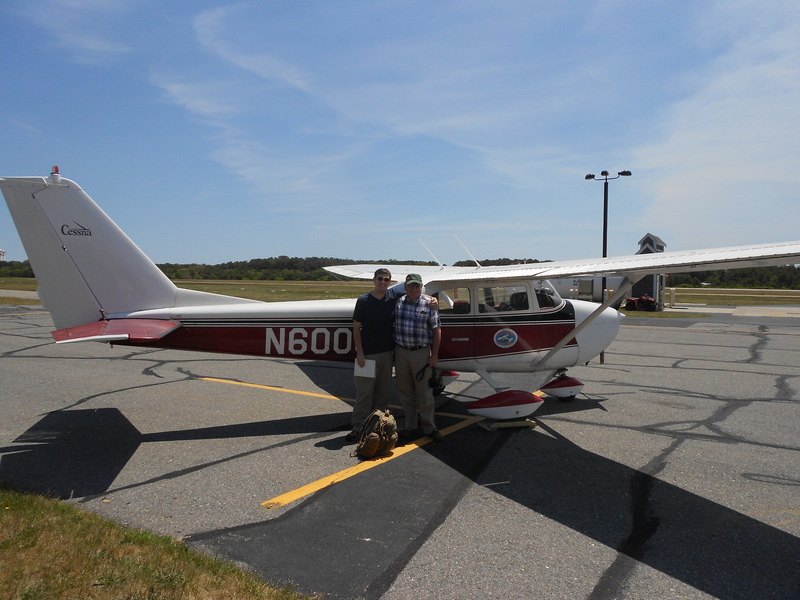 This would be my first chance to take my parents flying since getting my Private Pilot certificate, and I was really looking forward to showing off what I had learned by giving them a view of the Cape that they had never seen before. Everything was set — the airplane was rented, the weather looked good, and the passengers were willing — but something happened that I’d never experienced before. I had to reject the takeoff. There are a few things that I never leave home without, and a good watch is high on that list. For just about everything that you do in the air, time is a valuable commodity and measuring it is essential — whether you’re doing a timed 180 degree turn out of a cloud bank or just trying to get the plane back on the field before your rental window closes, an actual physical chronometer is a handy piece of equipment. 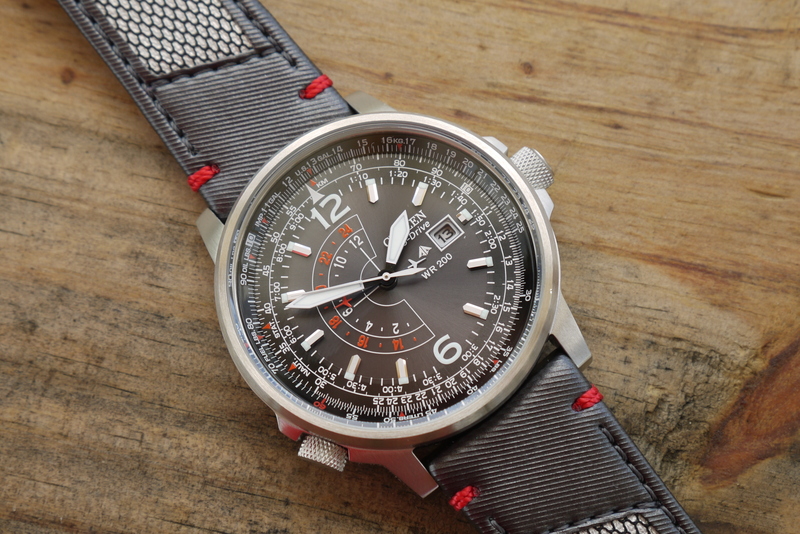 I’ve been looking for an aviation specific watch for a while now, and I think I may have struck gold with the Citizen Nighthawk. My parents are aging hippies looking to retire. So naturally, they have gravitated towards Wellfleet, Massachusetts. They bought a house up there with the plan to eventually move in and live out the remainder of their days among other Grateful Dead fans, and in a few days I will be heading up to join them for Father’s Day weekend. ever since I passed my OpenAirplane check ride I’ve been using every opportunity to fly in new and interesting places, and with any luck this weekend will be no different . . . Since I’m a committed Android user, Garmin Pilot is just about the only app out there that provides an intuitive and stable electronic flight bag for my general aviation needs. I’ve been flying more and more with the local Civil Air Patrol crew, and their G1000 equipped Cessna 182 has spoiled me. The moving map on the G1000 shows a lot more information than has been available on the Garmin Pilot app, but it looks like Garmin is slowly adding those features in — and more. Here’s what’s new in version 4.3, and how it works in practice.